I have an Arduino Yun here and I like it. It is actually 2 devices in one, a wireless router running OpenWrt and Arduino Leonardo. 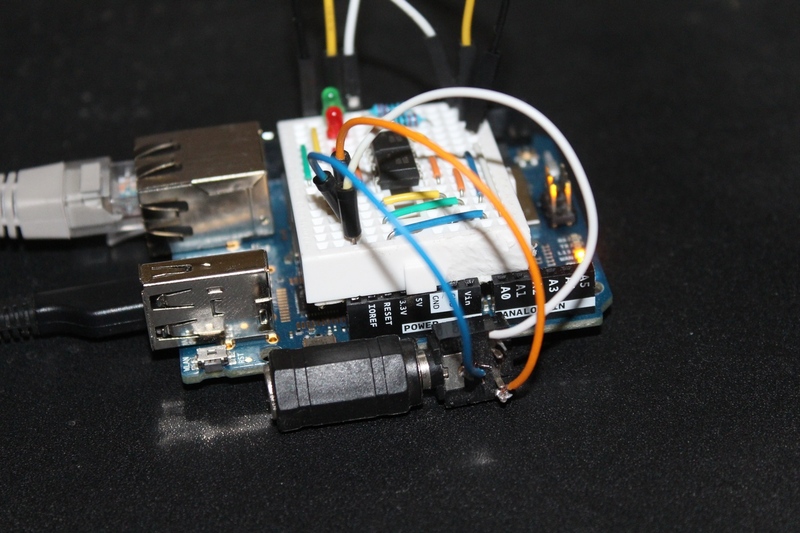 You can read more about it on the Arduino Yun page. I already installed ddserver on the Yun and use it during my qDD development. Right now it is not much of use for ordinary users as you need a Yun, a small hardware board and an sketch that controls it but if anyone interested please contact me. Interval – the desired Interval that the Yun should use. The minimal Interval is 1 second. 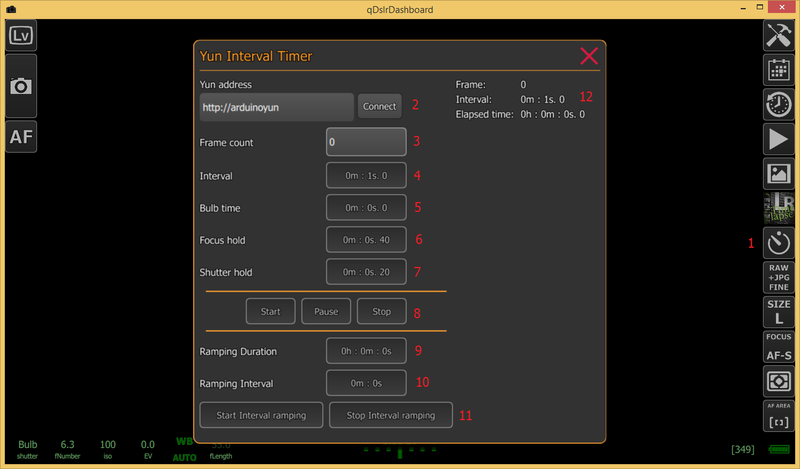 Shutter hold – Yun will use this time to hold the camera capture button in ‘full pressed’ status. By default the value is 20 ms (mili seconds). If BULB time is set then Yun will use that value instead of this one. Interval ramping duration – the duration of the Interval Ramping. At the end of the ramping Yun will set the Target Interval as the current interval. Target interval – the Target Interval that will be used for the Interval Ramping. 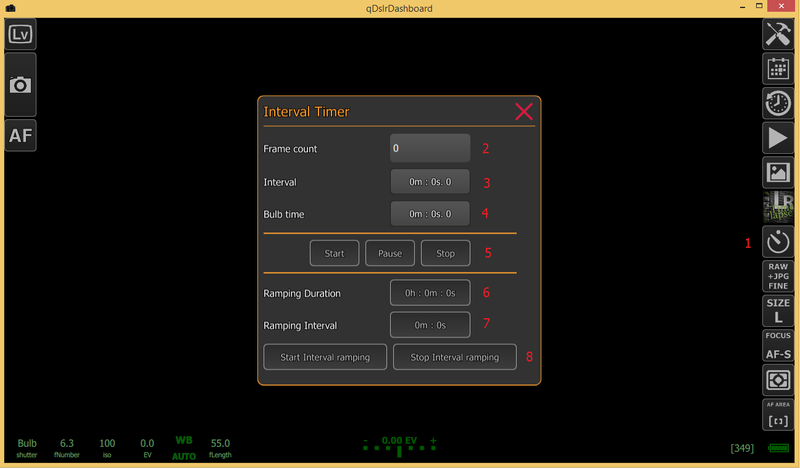 Interval Ramping control – with these buttons the user can start/stop the Yun Interval Ramping. If the ramping is stoped Yun will set the current interval to the last interval. Bulb time – the desired bulb time if shutter speed is set to BULB. This field is only visible if shutter speed is set to BULB. Interval ramping duration – the duration of the interval ramping. The timer will increase/decrease the current interval to the target interval. For now only linear inc/dec is added. Interval ramping control – with these buttons you can start/stop the interval ramping function.